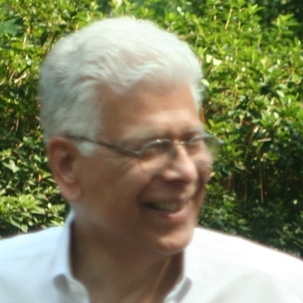 Enver Masud is the founder of The Wisdom Fund, which the New York Post has called "the main Muslim 'truther' group in America." His articles on national and world affairs have been published in newspapers and magazines in the U.S. and overseas. He is the author of an award-winning book, The War on Islam, and a contributing author of 9/11 and American Empire and Islam: Opposing Viewpoints. He has lectured widely on 9/11. An engineer by profession, he managed research programs, the National Power Grid Study, and the National Electric Reliability Study for the U.S. Department of Energy, and set up and directed the Operations Review Division at the Iowa Commerce Commission. As an engineering management consultant, he has worked for the U.S. Agency for International Development, and the World Bank, in Albania, Egypt, Ethiopia, Ghana, Indonesia, Latvia, Pakistan, Russia, and Tanzania. He resides less than a mile from the Pentagon. Join him on Facebook. A. K. "K halil" Dewdney, Ph.D., is Professor Emeritus in the Department of Computer Science at the University of Western Ontario. 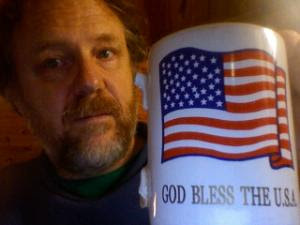 Well-known for his popular "Mathematical Recreations" column, which ran in Scientific American for more than eight years, he is also the author of several books, including The Armchair Universe and The Planiverse: Computer Contact with a Two-Dimensional World. Founder of Scientific Panel Investigating 9/11 (SPINE) and co-founder of Muslims for 9/11 Truth, he is well known in the 9/11 truth-seeking community for his Project Achilles experiments showing that the reported cell phone calls from the allegedly hijacked airliners on 9/11 cannot have been genuine. 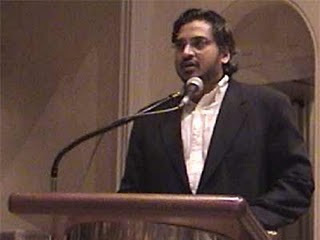 Dr. Faiz Khan is a co-founder of the Muslim-Jewish-Christian Alliance for 9/11 Truth and a contributor to 9/11 and American Empire: Christians, Jews, and Muslims Speak Out. He has spoken at various 9/11 truth events including the seminal 2006 Chicago conference. Dr. Khan is a medical doctor who practices and holds dual board specialization in two of the broadest fields within modern medicine – Emergency and Internal medicine. He is Vice Chairman / Head of Academic Affairs of Emergency Medicine at Nassau University Medical Center, and holds professorships in both specialties. His areas of expertise include diagnostic reasoning and epistemology, critical care, and medical ethics, and he serves as chairman of the medical ethics committee. He has been the recipient of professional leadership and teaching awards. Dr. Khan is a khateeb (imam of Friday services) and conducted Friday prayers for 7 years at the Al-Farah Mosque in TriBeca, Manhattan. He continues to conduct prayers at the Islamic Center of Long Island and other NY area mosques. 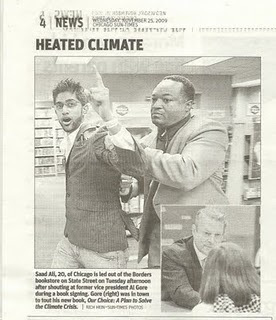 Saad Ali is an activist with We Are Change Chicago. "We Are Change is a citizens based grassroots peace and social justice movement working to reveal the truth behind the events of September 11th, as well as the lies of the government and corporate elite who remain suspect in this crime. In addition, we are here to aid the sick and dying first responders through fundraising and social outreach programs in order to promote awareness of those who suffer from physical, emotional, and psychological traumas they received in the aftermath of 9-11. We also seek to meet other local citizens who are interested in educating the public while engaging in peaceful demonstration about the pertinent issues that are affecting our lives each and every day. Furthermore, We Are Change is a nonpartisan independent media organization comprised of patriot journalists working to hold accountable those engaging in activities that do not represent the wishes of 'We the People' – by asking the hard questions that the controlled mainstream media refuses to do." "When any one of you sees anything that is disapproved (of by Allah), let him change it with his hand. If he is not able to do so, then let him change it with his tongue. And if he is not able to do so, then let him change it with his heart, though that is the weakest (kind of) faith." Muhammed Abdullah has been conducting street actions on a weekly basis for more than two years. In spring 2009 he became the target of an attempted restraining order by the Pomona Police Department due to his peaceful demonstrations outside the building, which garnered many "thumbs-up" signs from rank-and-file cops. The Department failed to win a restraining order as Abdullah agreed to remain a certain distance away from police headquarters. 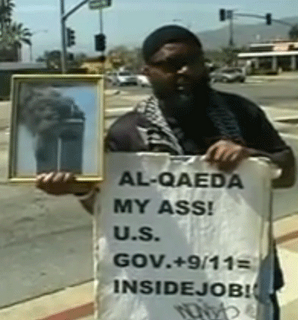 Then in September 2009, Abdullah's home was raided by an apparent Department of Homeland Security team, who confiscated his computer and harassed him with questions about his political views. Dr. Kevin Barret t is the co-founder and acting coordinator of Muslims for 9/11 Truth. He is the author of three books including the brand-new Questioning the War on Terror: A Primer for Obama Voters, which deconstructs the "war on terror" through Socratic questioning. A Ph.D. Arabist-Islamologist, he has taught languages, literature, humanities, religious studies, and folklore at colleges and universities in the U.S. and abroad. Blacklisted from teaching at the University of Wisconsin since 2006, Dr. Barrett has recently worked as a talk radio host, author, public speaker, and congressional candidate. One of the best-known critics of the War on Terror, Dr. Barrett has appeared on Fox, CNN, PBS, ABC-TV, and Unavision, and has been the subject of op-eds and feature stories in the New York Times, Chicago Tribune, Christian Science Monitor, and other publications. (Media archive here.) Dr. Barrett hosts two talk radio shows, one on a liberal and the other on a conservative network, and runs the website TruthJihad.com. i want to participate as much as i can. if i can add to the discussion, and will add to the dialogue, please email me.